Are you looking for a central bolt hole within walking distance of the Railway Station? If so this apartment could meet your requirements. 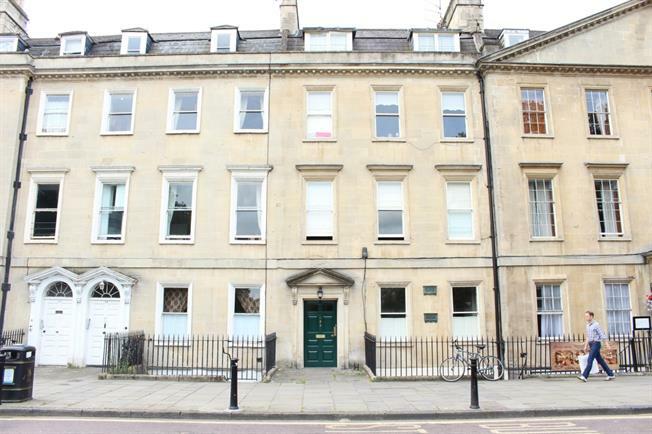 Located opposite Bath's beautiful Parade gardens with views of The Empire and Pulteney Weir, if central living is important to you then the location will tick all your boxes. The apartment is unfurnished and the accomodation includes a substantial Georgian bedroom leading into the reception, galley style kitchen and bathroom complete with shower over the bath. The Bathroom and kitchen include modern stylish blinds and the bedroom benefits from the original Georgian shutters. Charming and characterful throughout, this apartment will not stay on the market for long, swift viewing highly recommended. Located opposite Bath's beautiful Parade gardens with views of The Empire and Pulteney weir, if central living is important to you then the location will tick all your boxes. Bath Spa railway station is 0.3 miles on foot and provides a direct link to London Paddington in approximately (90 mins) and also offers connections to Bristol and many south west destinations. Bath is a World Heritage Site famed for its Roman heritage and Georgian architecture. There is a wide variety of cultural, leisure, sports and shopping facilities along the with a direct link from Bath Spa to London Paddington, convenient access to the M4, A46 and A4.